Planting garlic in the fall garden is one task that most gardeners find delightful. Garlic is not only easy to plant and care for throughout the winter and spring, but the culinary rewards are beyond great. In some circles garlic is the world’s number one superfood or better yet, a gift from nature, filled with flavor and chock full of health benefits. Many cultures throughout history have revered and reviled the humble garlic plant. Early Balkans rubbed garlic on doorknobs and window frames to discourage haunting vampires and safety from witches. Around 2500 B.C. fifteen pounds of garlic could purchase a healthy Roman slave. And Pliny the Elder wrote that garlic could cure 62 ailments including dog and snake bites! Betty Cahill has been growing and teaching about growing garlic in the Denver area for many seasons. She grows close to 100 plants a season in her central Denver garden and happily shares harvested bulbs with neighbors, family and friends. Fall is the best time to plant garlic in the Denver area, so come and learn more about which varieties do well here, along with planting and care how-tos. She’ll also cover harvest and culinary tips. 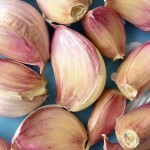 You will enjoy garlic appetizers, along with taking home some cloves to plant right away in your own garden. Interested in trying your hand at growing garlic? Register online for Betty's Growing Great Garlic class on Wednesday, September 19th (6:30 - 8:30 pm). Betty has been gardening in Denver for several years. Growing up and gardening in Montana has equipped her for the many challenges gardeners face in Colorado. Growing garlic, basil, herbs and vegetables are Betty’s favorites. Many friends and family are lucky recipients of Betty’s large harvest of basil and garlic each summer. 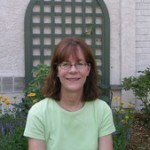 She is a member of the Denver Rose Society, Rocky Mountain Chapter of the Herb Society and the Rocky Mountain Chapter of the North American Rock Garden Society. She’s been teaching and volunteering at Denver Botanic Gardens for several years.